This is a material based outcome that initially resulted as a rejection of the confined structure of the cube. 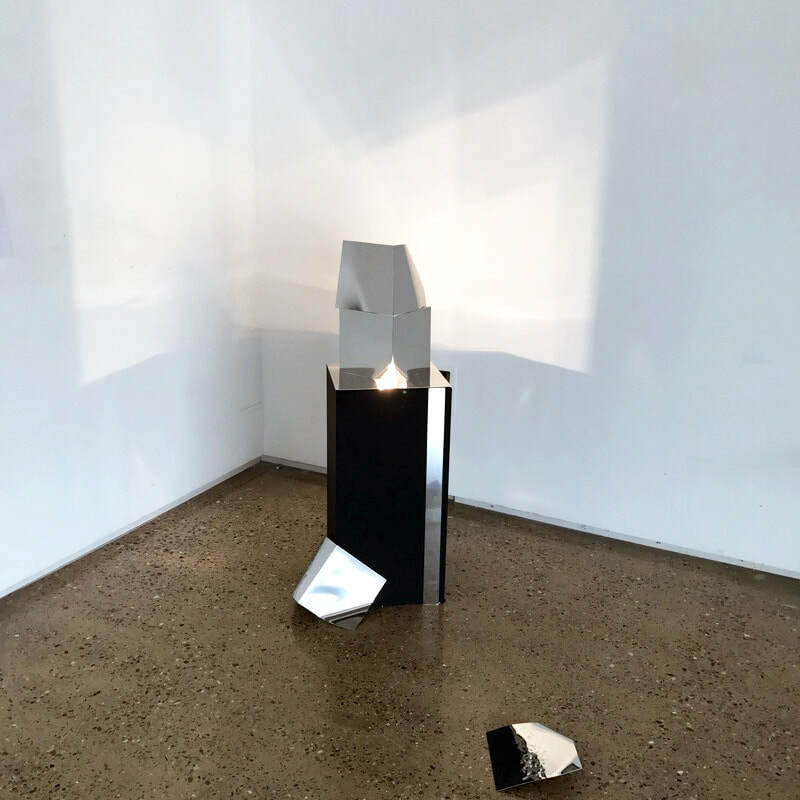 Through exploring the materiality of stainless steel, I distorted the cubes metal faces and re-constructed it using an intuitive process, while responding to the gallery space. Lighting was another important aspect with this piece. The reflective surfaces of the steel bounce the surrounding light onto the gallery walls. I included a lightbulb within this piece to further engage the viewer with the aspect of the 'consumer' and the 'consumed'. 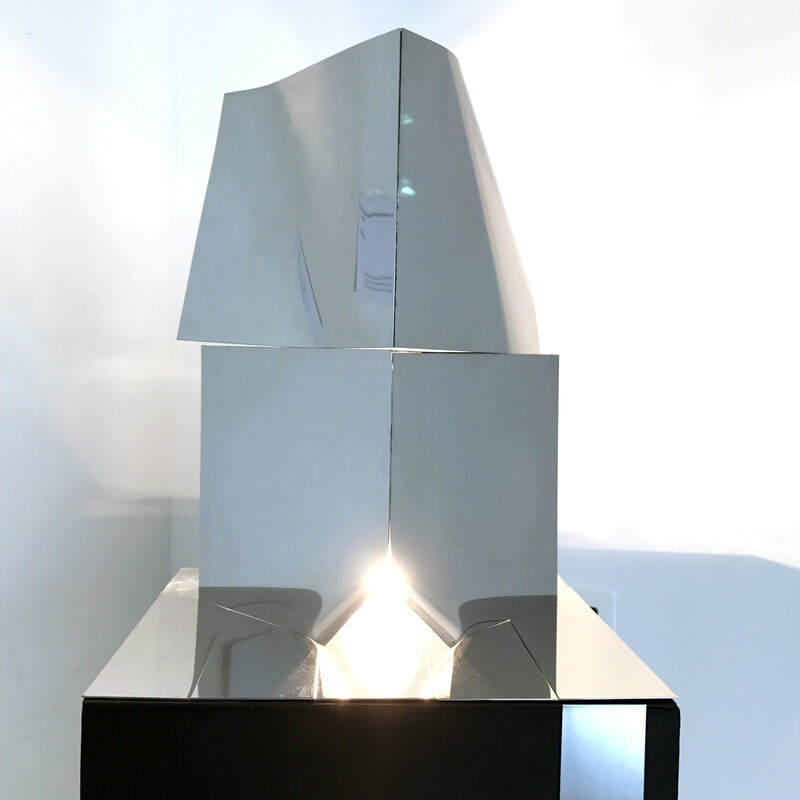 The experience of this sculpture exploits the viewers experience, and in a way represents consumption culture, and how capitalism affects the production of contemporary art. 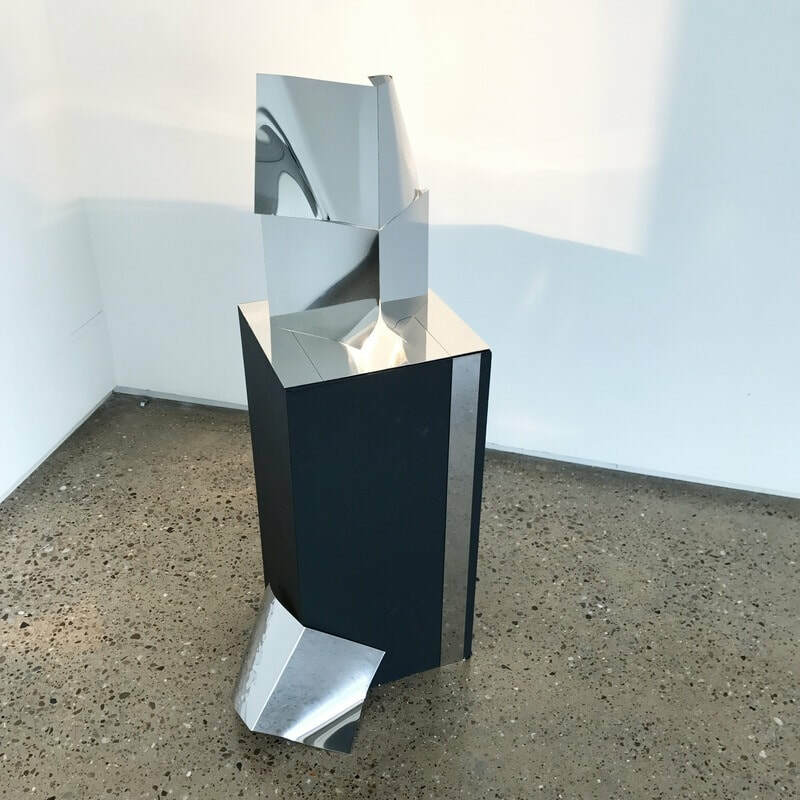 This piece led on to sculptural and textural experiments.